WOW that is great! How cold did it get there? And what did you use for insulation? The minimum temperature was -2F, which is abnormally low. I used Christmas lights with a thermocube. I wrapped burlap around the palm, then lights. I wrapped another layer of burlap around the lights, then a layer of blankets. 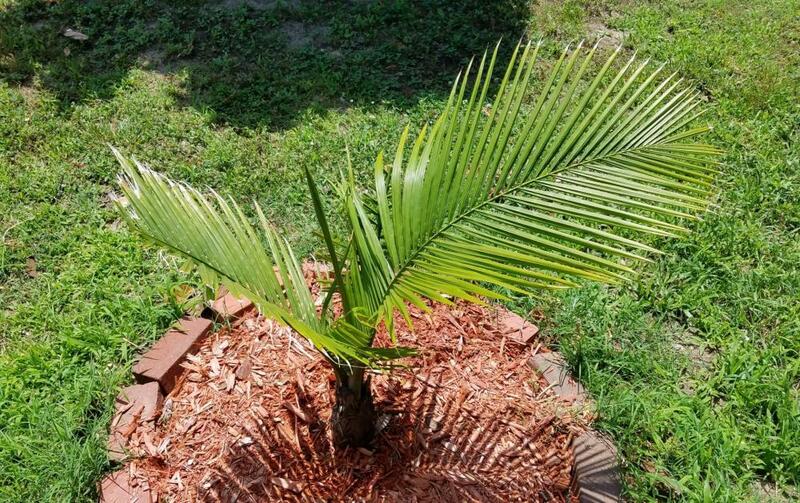 Also, I'm trying to grow a majesty palm. That is dedication - I would not want to go through such trouble myself! How long did you leave those palms wrapped up like that? That's great that they survived! 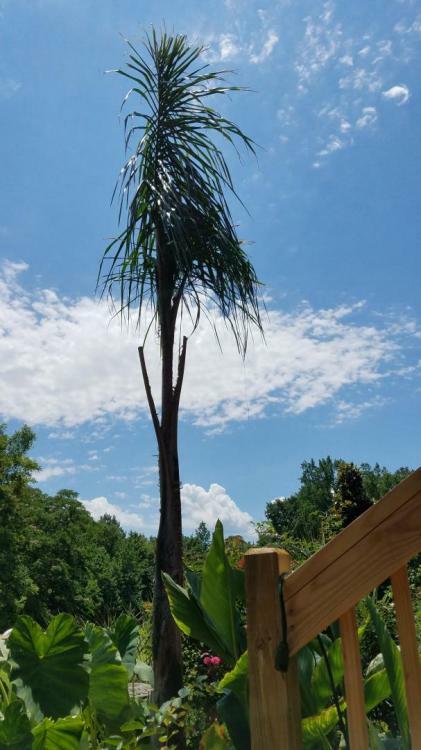 I'm from Knoxville, TN but never considered growing palms outside until I moved to East Texas (zone 8a). The queen was wrapped for about 3.5 months, and the majesty was wrapped for about 4.5 months. They were unwrapped in February for a few days. That's interesting to know. I've not experienced more than 15-18 consecutive hours of temps below freezing since coming to Texas so I haven't had to wrap anything like you did, but I did wrap Christmas lights around a queen palm I had in north Houston its first winter. The majesty likes lots of water so you must be watering it well - it looks good! In January we had a winter storm and the temperature remained below freezing for about 3 days. It was an abnormally cold weather event. Usually, the temperatures rise above freezing during the day. I unwrapped them in February, because we had over a week of temperatures that remained above freezing. I've only had to water it a few times; we've been having a pluvious spring. Last fall we received a lot of rain, and after hurricane Matthew it was under about 4 ft of water. 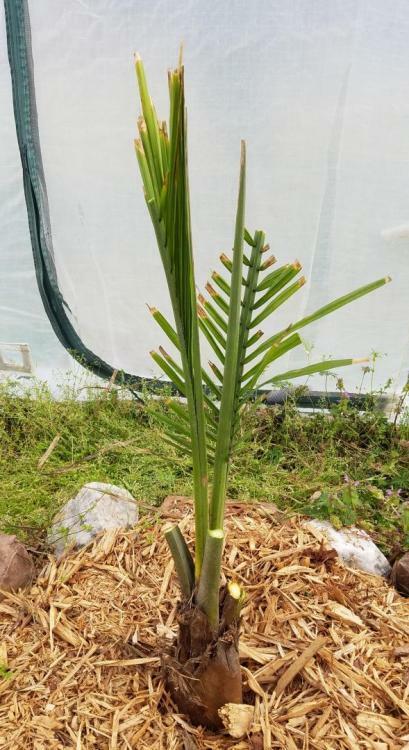 Coconut Mike in Montreal had a Queen he over wintered until it got to tall (I think 16/18 ft) before he quit. Last I saw of it, he was trying to give it away if you came and dug it out and it was right after a snow event there and it did look cool that Queen surrounded by that light covering of snow. I don't know how he protected it though. All his other palms in the ground are boxed in with 1 inch insulation. 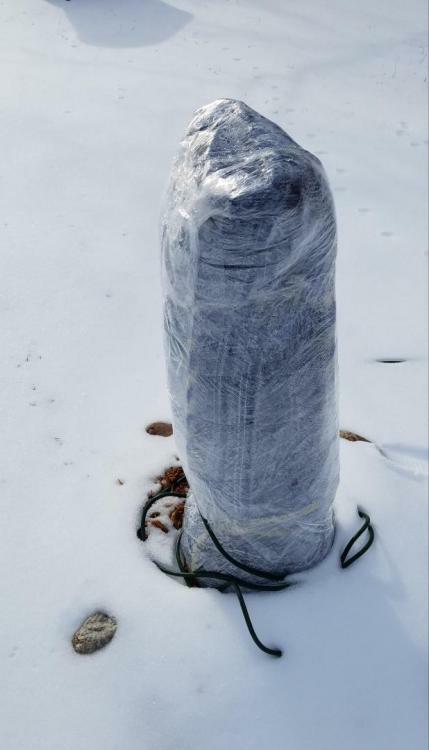 Once we began experiencing temperatures below 25F, I wrapped the queen with a layer of burlap. Then, I wrapped Christmas lights around the burlap. The lights were plugged into a thermocube. I wrapped another layer of burlap after the lights. Once we began experiencing temperatures below 20F, I wrapped a layer of blankets around the queen. 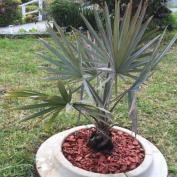 I added a few inches of mulch around the base of the palm, and I placed unopened bags of mulch on top of the layer of mulch. how many winters you have been doing this for this queen ? That was according to a local temperature reading. I live near a swamp, so it might have been warmer. That was the first winter. That should would help, is it a big swamp? So I assume you have planted this recently? I would consider it to be a small swamp. Here is a picture from the snow event in January 2017. It was planted in March 2016. That's a nice little cypress swamp. Any Spanish Moss to be seen? Yes, but not much. 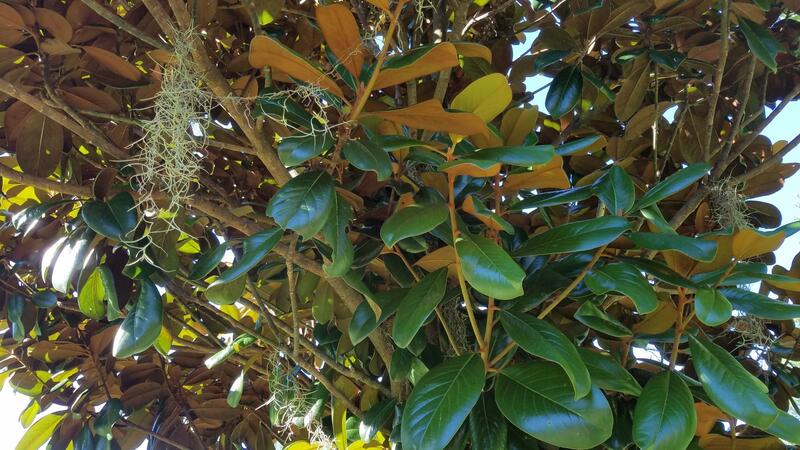 Most of it is growing in a few trees in the yard. Those both put on some nice growth! Nice job on overwintering them!! I wish I liked queens more. They just usually don't look great. Even here in Florida many of them just look tired. 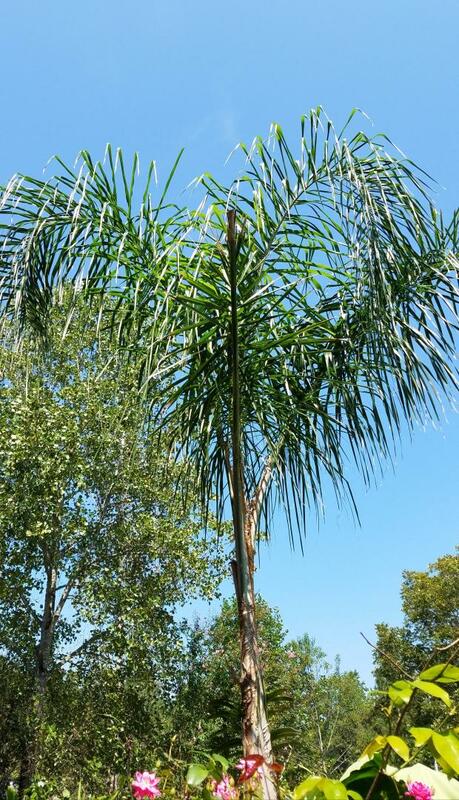 When they are very healthy though they are gorgeous stately palms. Yours looks very healthy for being still young and having survived a brutal winter. Are you going to protect it again? 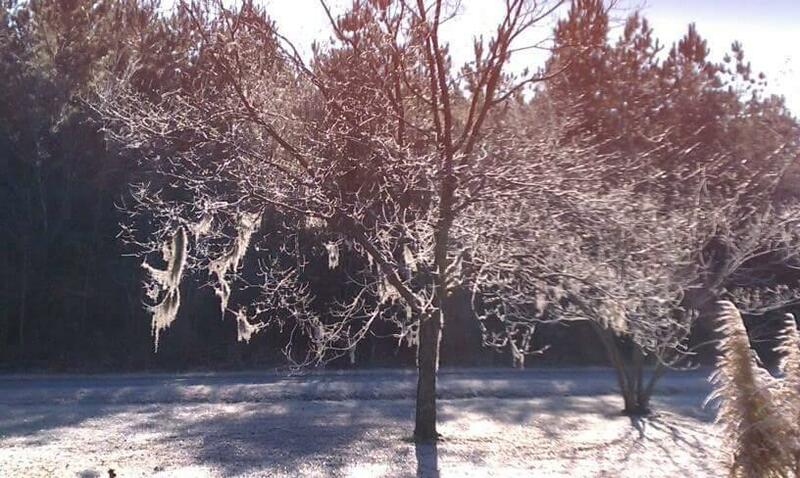 Would love to see a photo of your spanish moss too. I do plan to protect them both this winter. 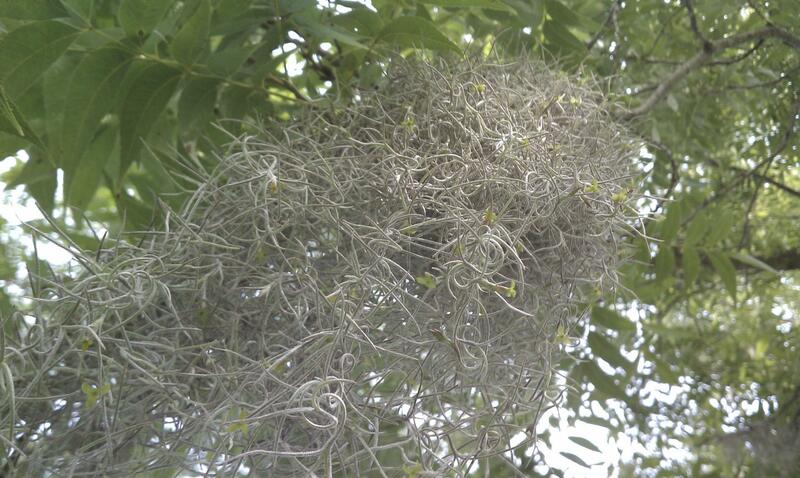 I will have to see what pictures I have of the Spanish moss, since I am in college now. Looking good! Can't wait to see how your queen comes through this winter. Hopfully it wont be too harsh of one up there. One of my houses is near Yorktown. I planted Spanish moss there several times, only to have birds steal it. It may still be there in a remote corner. 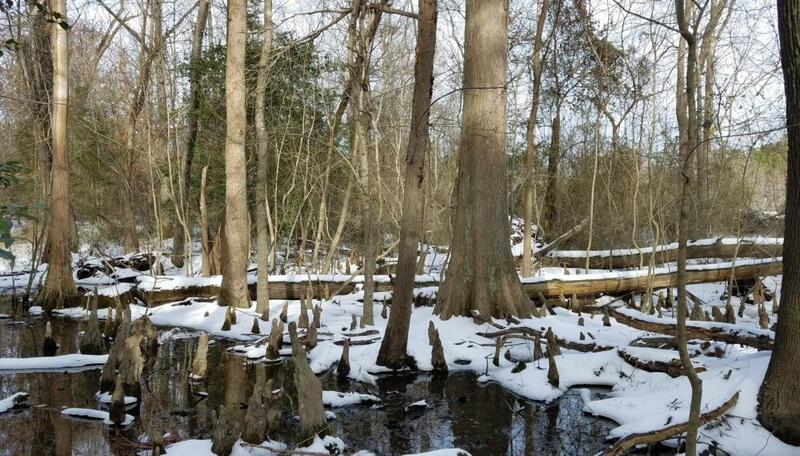 I have found it hidden before, after such displacement, but even the humidity near the Poquoson River isn't enough. 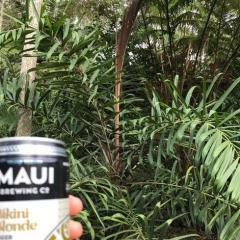 I would recommend easier to protect palm species than ravenea rivularis. 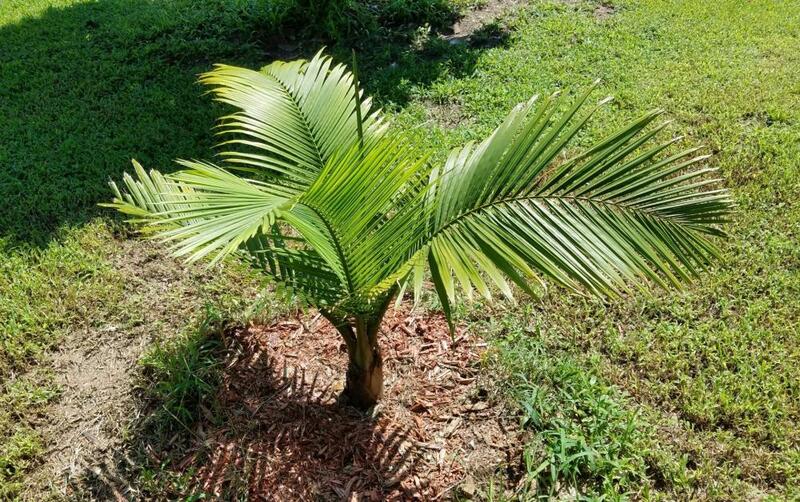 King palm, even though not easy to keep alive in winter, is hardier than majesty palms, doesn't mind darkness as much, and is also prettier and crownshafted. Phoenix dactiylifera or canariensis are much easier that that too. I've gotten CIDPs through a few winters with modest protection, but they are all dead now. I kept unprotected butias for many years, but they died slowly after the temps hit 1 or 2 F a few years ago. 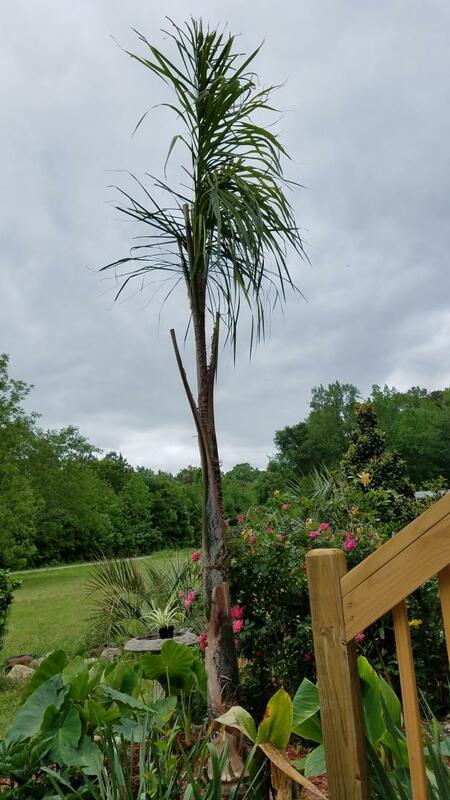 The tallest one was about 13 feet tall, but sadly never flowered. I kept it in front of a dryer vent and a brick wall facing SW.
and most of all, keep it from overheating on warmer days when it is wrapped. This is a key that gets overlooked. Supplemental heat may be added, but isn't necessary when you are within a zone of the plants zone limit. @SEVA Great to see the palms come back! They look really good. Did you put the Spanish Moss in the trees or did it just end up there? Pretty sure it was put there. While you might be lucky enough to find a sickly small strand of moss in the tidewater/delmarva peninsula of MD and VA its rare and most case near death. We have the humidity, but the cold wet winters the DMV has just about kill anything borderline. I have read a few articles of folks finding moss on the eastern shores of MD and VA that were hidden, but very small and hard to find. Also from what I have read as well that moss used to be native to the DMV before the little ice age (as well as possibly some sable minor and Rhapidophyllum hystrix strands). Since we are coming out of the tail end of the cooling period it might make a come back, especially with some help, in our area.